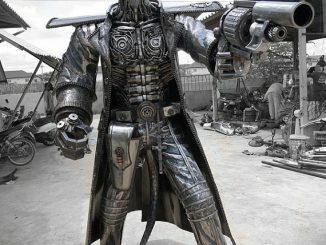 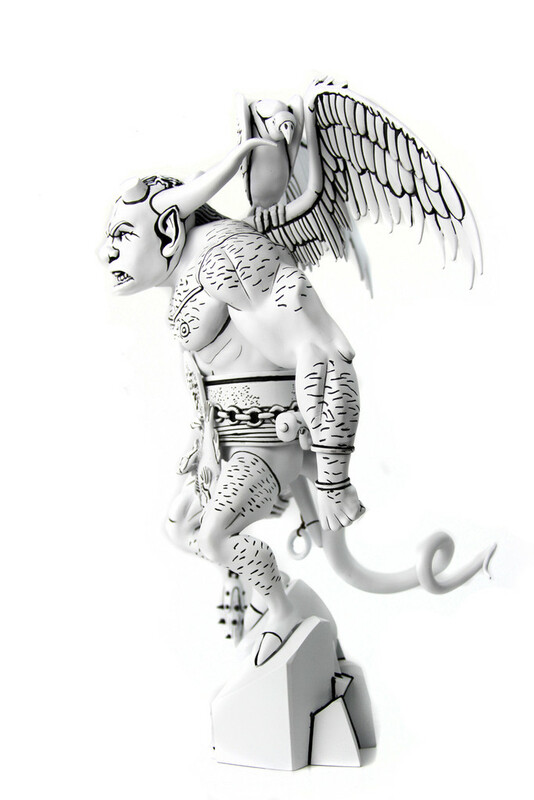 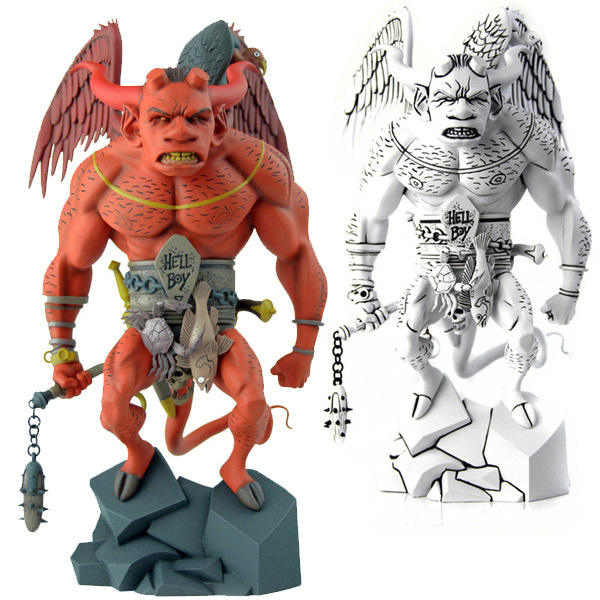 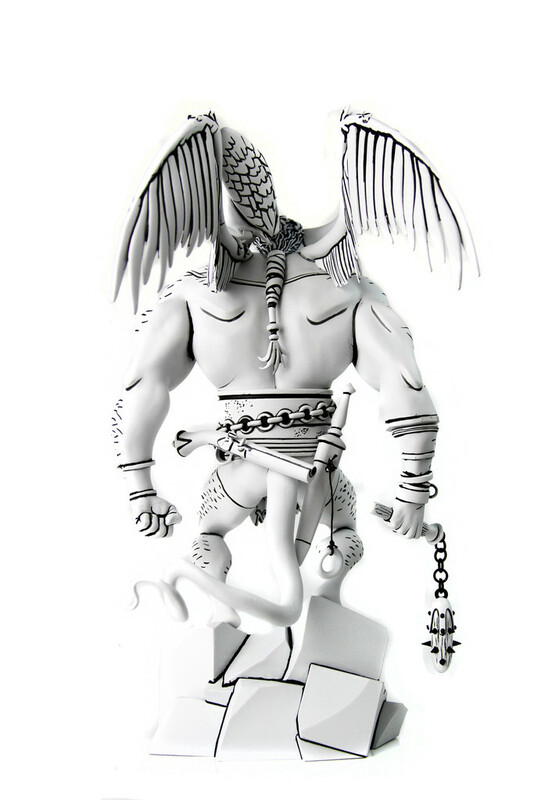 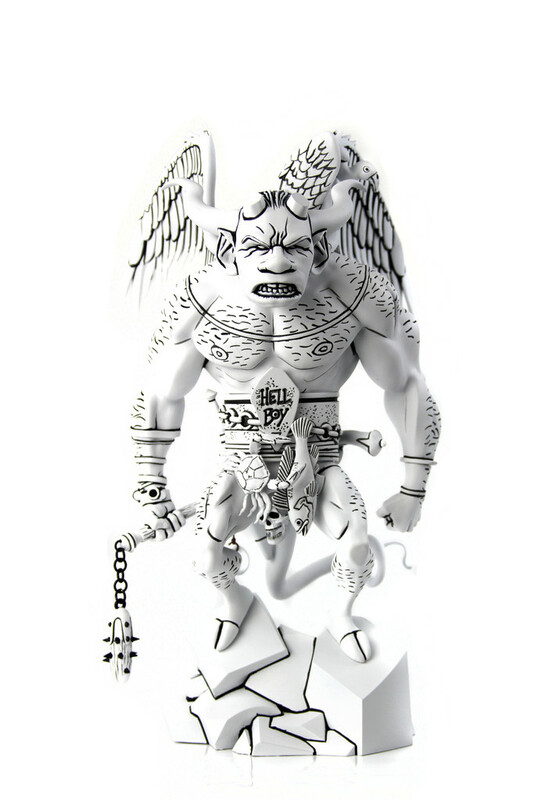 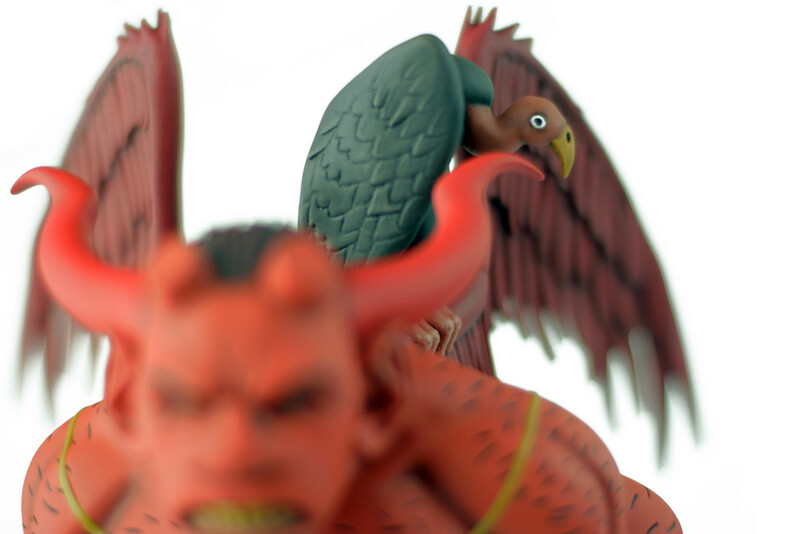 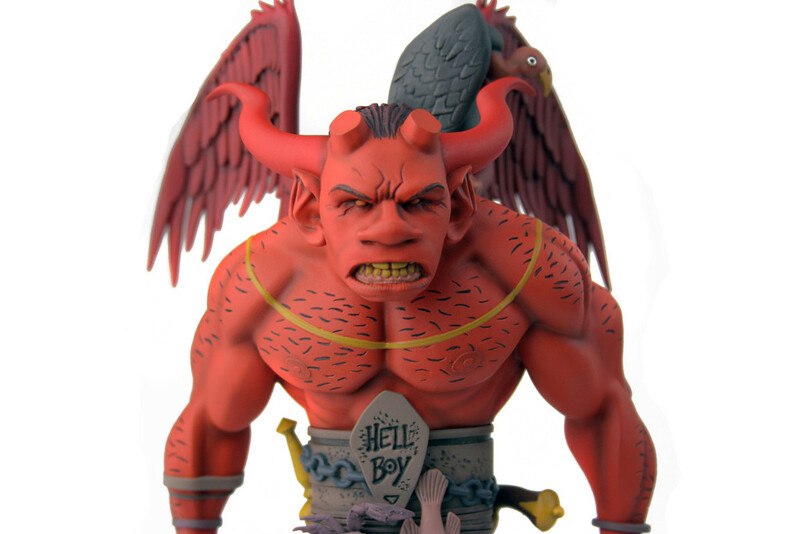 Whether you go for cool black-and-white or fiery red, The First Hellboy Statue is hella awesome. 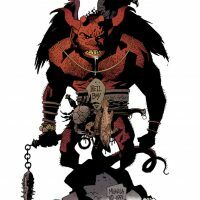 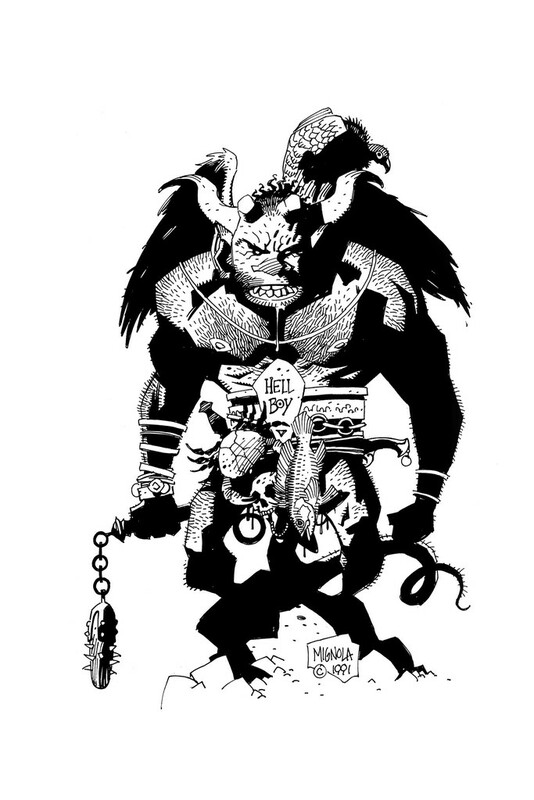 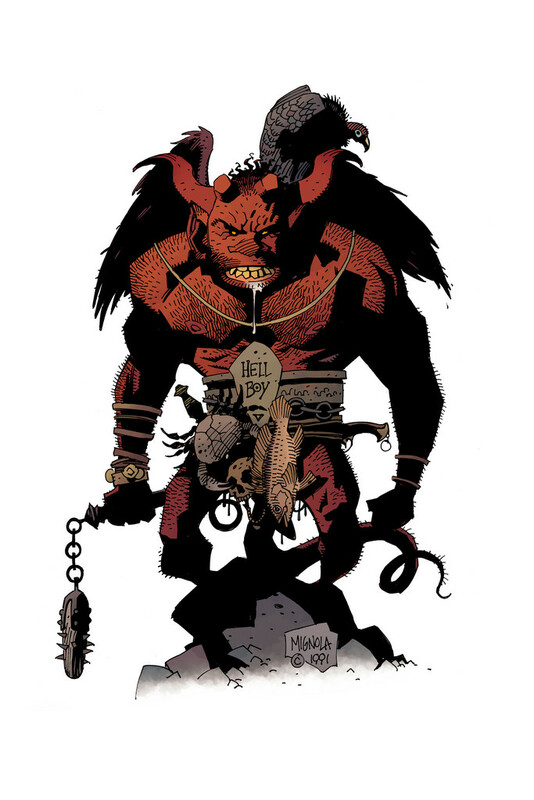 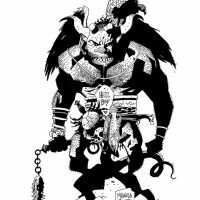 Before he became the trenchcoat-wearing, cigarette-chomping hero he is today, comic artist & writer Mike Mignola imagined Hellboy looking slightly different, complete with a second set of horns, a pet vulture on his shoulder, and a fish and crab hanging from his belt. 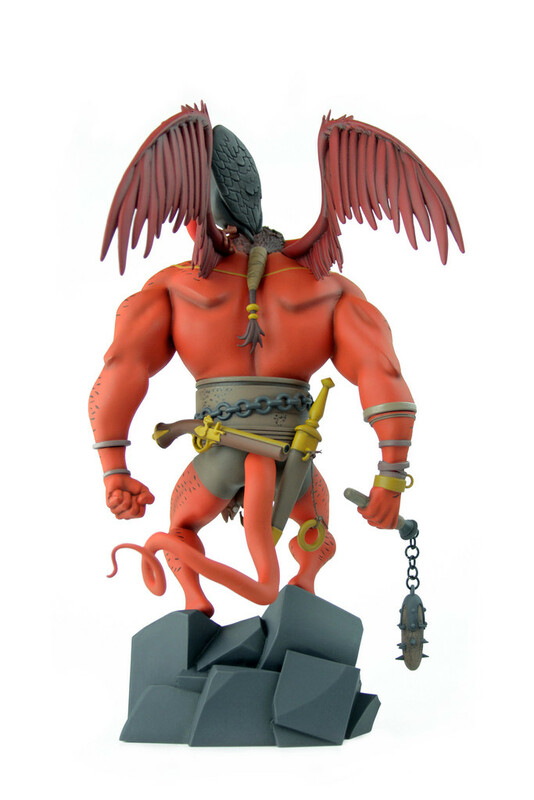 Big Red also had wings in his original form, and I sort of wish those had stayed. 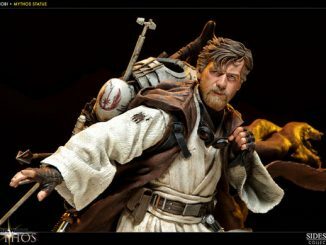 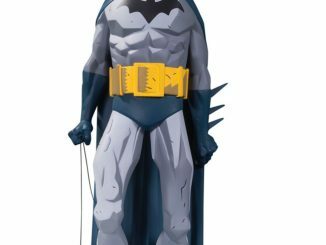 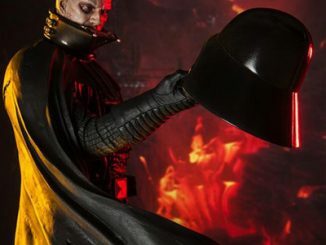 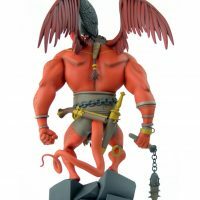 This 12-inch-tall, polystone statue lets you own that first vision of he who now wields the Right Hand of Doom in either black-and-white or a colored version. 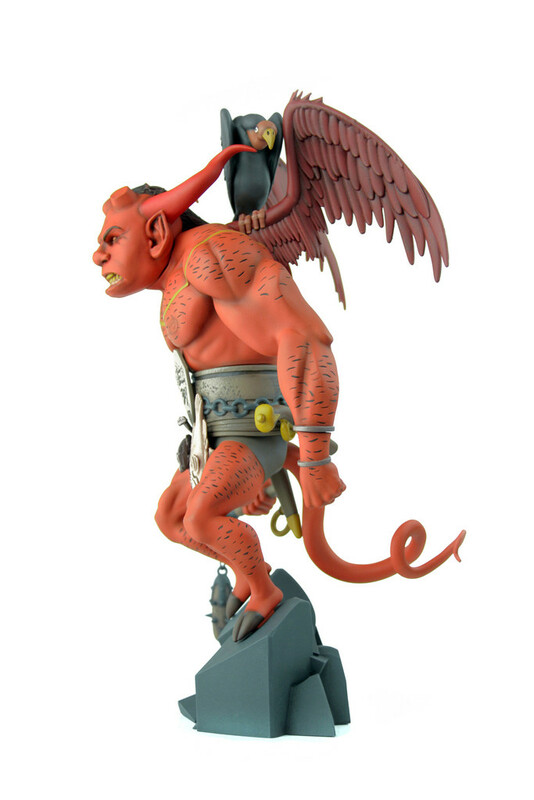 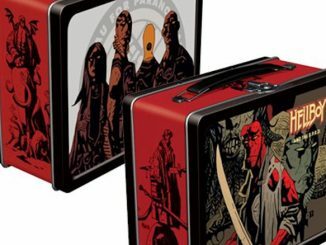 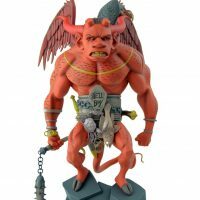 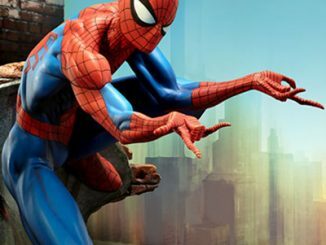 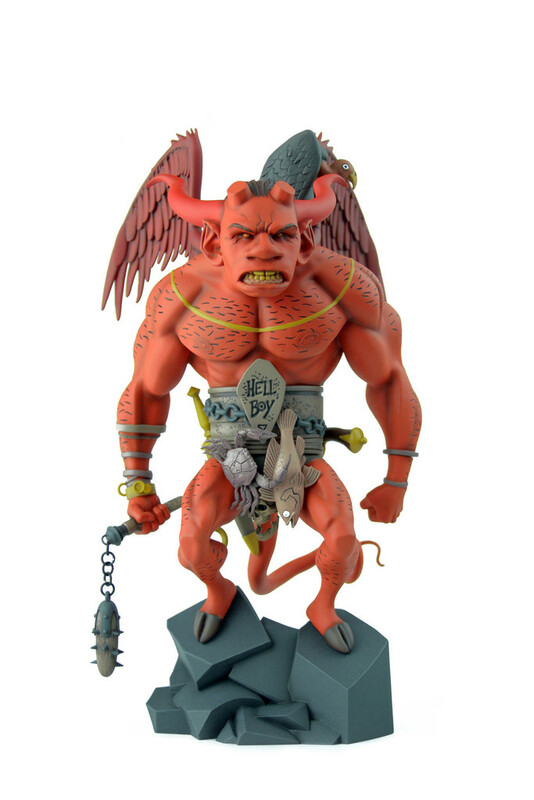 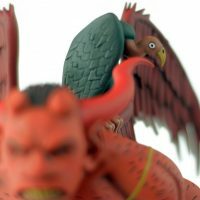 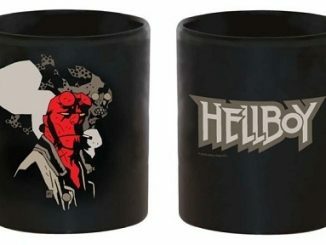 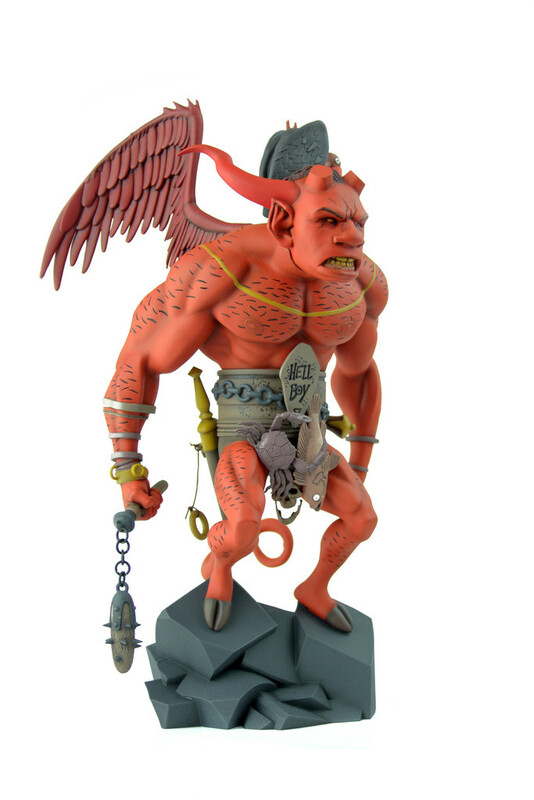 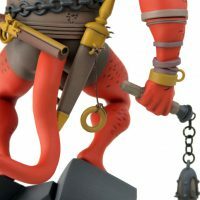 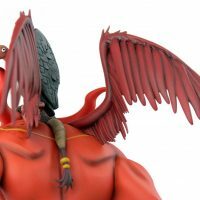 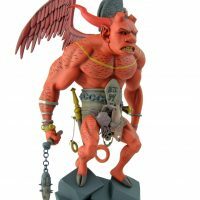 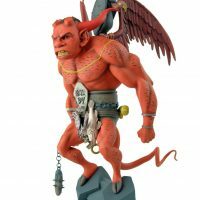 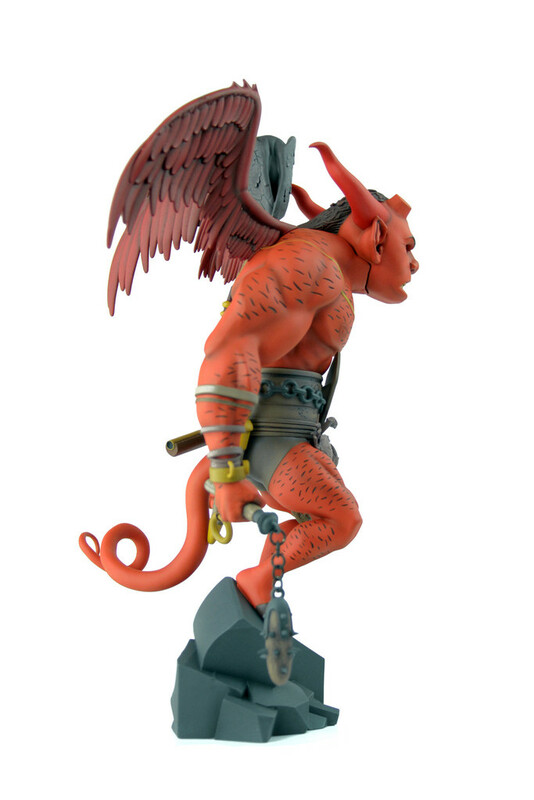 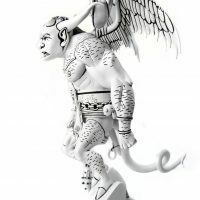 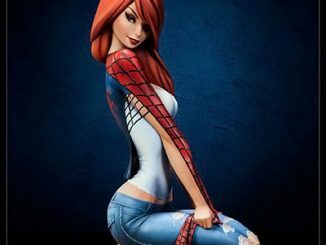 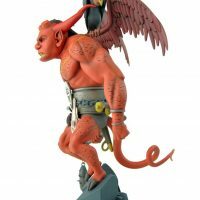 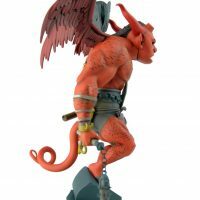 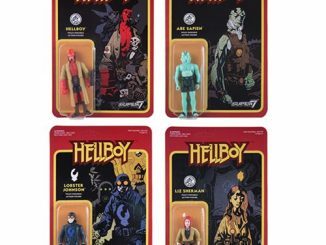 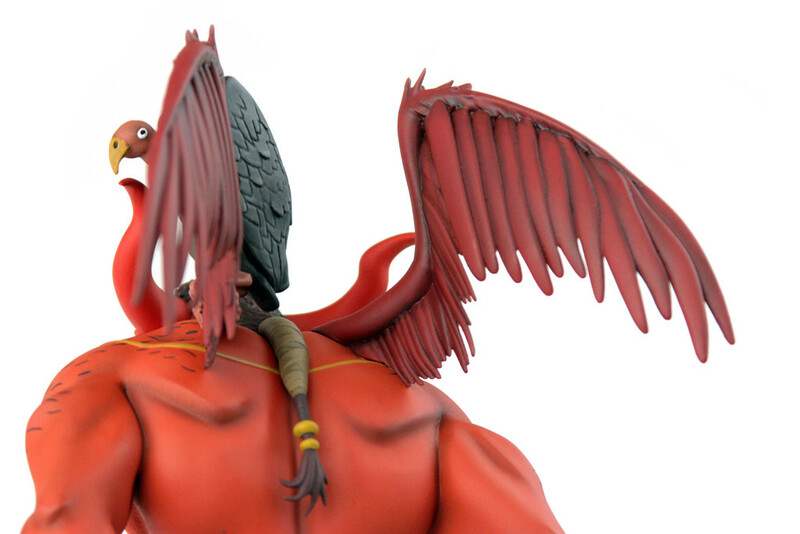 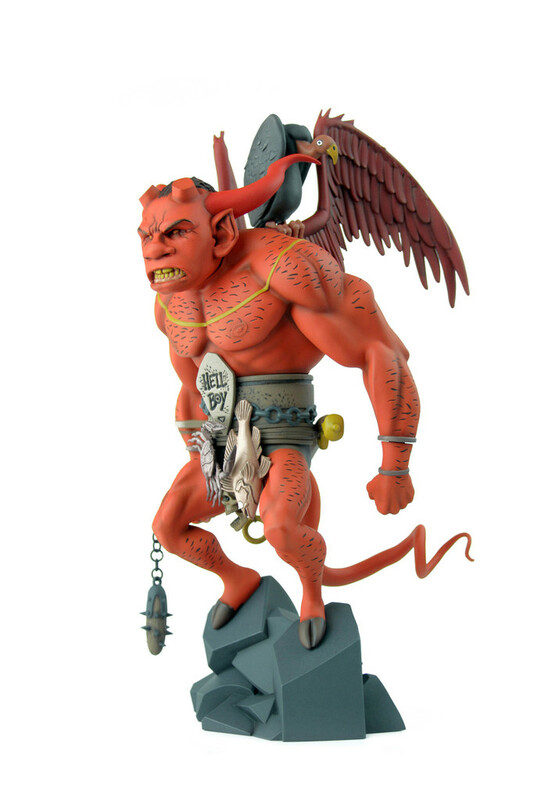 The First Hellboy Statue (Red Version) will be available during the 4th Quarter of 2015 but it can be pre-ordered now for $200 at MondoTees.com. 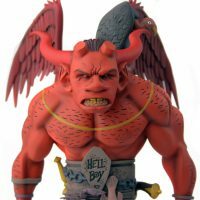 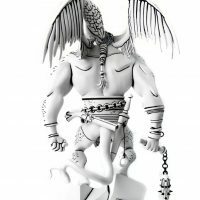 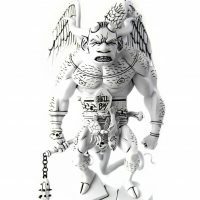 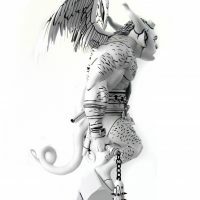 The First Hellboy Statue (B&W Mondo Exclusive) will be available at the same time and can be pre-ordered now for $225.